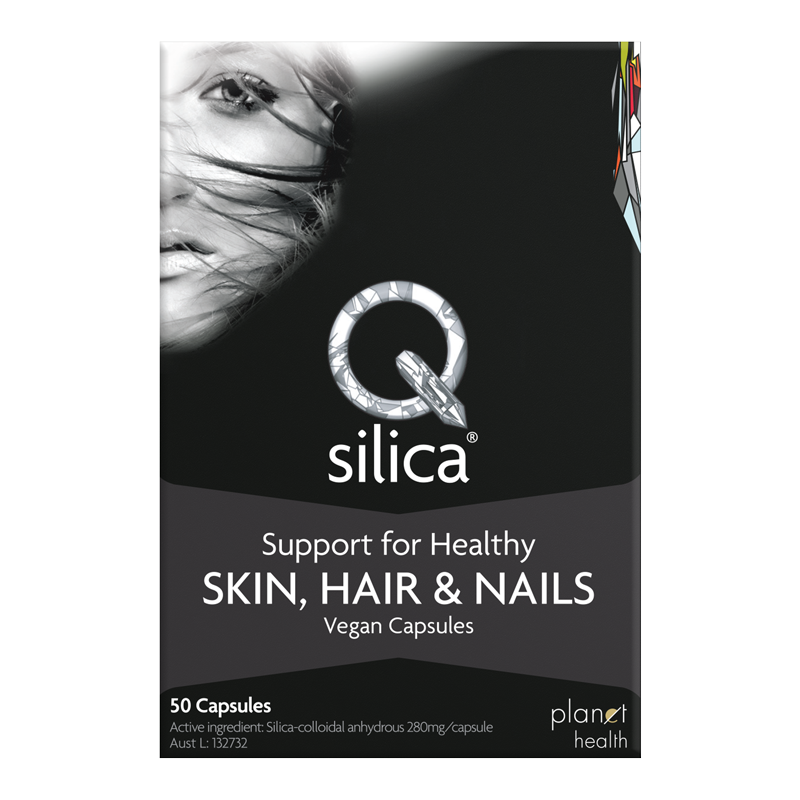 Qsilica Skin, Hair & Nails Capsules offer a convenient form of mineral silica required for normal growth and functioning of connective tissue, hair, skin, nails, and joint cartilage. Sorry, this product is not currently available in your country. Adults : Take one capsule once or twice daily with a glass of water. Each capsule contains 130.9mg of elemental silicon (as silica-colloidal anhydrous 280mg).